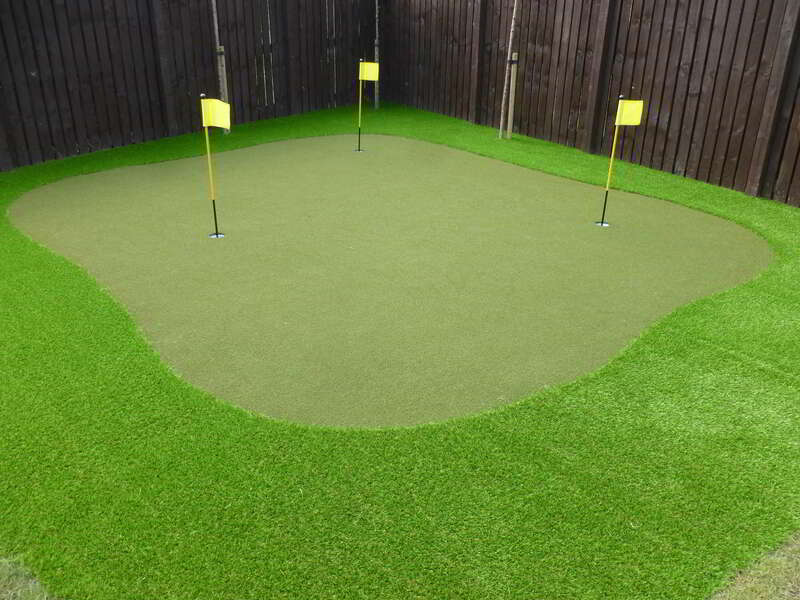 We design, supply and install artificial grass putting greens for both home-owners and commercial customers throughout Scotland who are looking for the perfect putting surface, year-round, without the hassle of constant maintenance. The installation is of the highest quality, carried out by an experienced team who can carry it out quickly and efficiently, with minimal disruption at competitive prices. Golfers are always looking to develop their game in order to improve their handicap, but its not always easy to find the time to get down to your local club or driving range on a regular basis. A putting green in your own garden provides the perfect opportunity to practice your short game regularly and whenever you have a free bit of time. Having a smooth-playing, quality putting green in your own garden may seem either unachievable or a lot of work in terms of maintenance, but with modern artificial grass they are a real possibility. We only use the finest artificial grass available to ensure that any greens we create are of the highest quality that feel and play impeccably while looking great as well. Our team of artificial grass specialists seek to understand each customers specific requirements for their home putting green to create the design and find the artificial grass that suits them best. Installation is undertaken at a time that suits you and will be completed in a timely and professional manner so as to minimise disruption while maintaining our high standards.